Click on any heading below to make the accordion effect come to life! 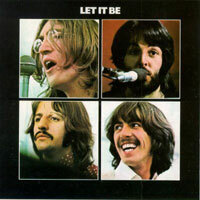 The Beatles were a pop and rock group from Liverpool, England. They are one of the most commercially successful and critically acclaimed bands in the history of popular music. The band's principal members were John Lennon, Paul McCartney, George Harrison, and Ringo Starr. The Beatles led the mid-1960s musical "British Invasion" into the United States. Although their initial musical style was rooted in 1950s rock and roll and homegrown skiffle, the group explored genres ranging from Tin Pan Alley to psychedelic rock. Their clothes, styles, and statements made them trend-setters, while their growing social awareness saw their influence extend into the social and cultural revolutions of the 1960s. Click here to learn more about The Beatles. Roderick "Rod" David Stewart, CBE (born January 10, 1945), is a singer and songwriter born and raised in London, England, with Scottish and English parentage. He currently resides in Epping. With a distinctive, raspy voice, Stewart came to prominence in the late 1960s and early '70s with The Jeff Beck Group and then The Faces and began a solo career in 1969, with his debut album An Old Raincoat Won't Ever Let You Down. With his career in its fifth decade, Stewart has achieved numerous hit singles worldwide, most notably in the UK, where he has garnered six consecutive number one albums and his tally of 62 hit singles include 24 that reached the top 10, six of which gained the number one position. It has been estimated that Stewart's album and single sales total more than 250 million, easily earning him a place on the list of best-selling music artists. 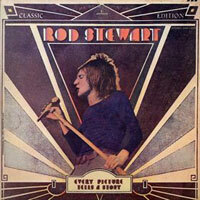 Click here to learn more about Rod Stewart. Oasis are an English rock band that formed in Manchester in 1991. The group was formed by Liam Gallagher (lead vocals), Paul Arthurs (guitar), Paul McGuigan (bass) and Tony McCarroll (drums), who were soon joined by Liam's older brother Noel Gallagher (lead guitar, vocals). 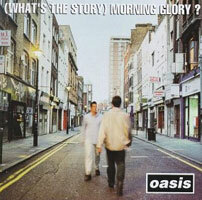 Oasis have sold more than 50 million albums worldwide, and have had eight UK number one singles. The Gallagher brothers are the band's leading songwriters and the only continual members. The present lineup is completed by rhythm/lead guitarist and songwriter Gem Archer, guitarist and songwriter Andy Bell and as-yet unofficial drummer Zak Starkey. Click here to learn more about Oasis.